IThe giveaway is on for the next twelve days---the winner will be announced on Saturday, 13th December, and sent out on the 15th to make it to you before Christmas. A perfect Christmas present for yourself for a loved one. Gentlemen and boys, why not give it a go and treat your girlfriend to a gorgeous gold box for Christmas? 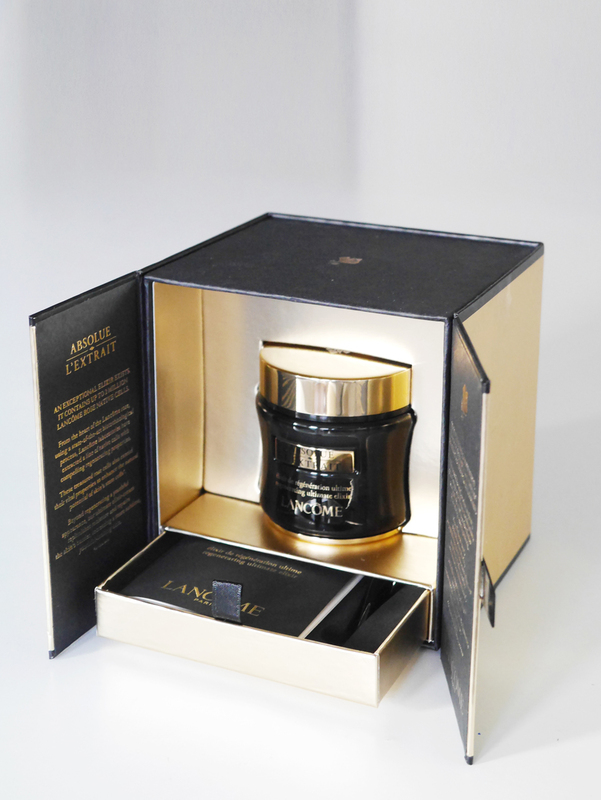 Absolue L'Extrait Regenerating Ultimate Elixir is from Absolue: Lancôme's new range of luxury skincare---promising exceptional radiance and regeneration for all women whatever their age, skin type, and concerns. 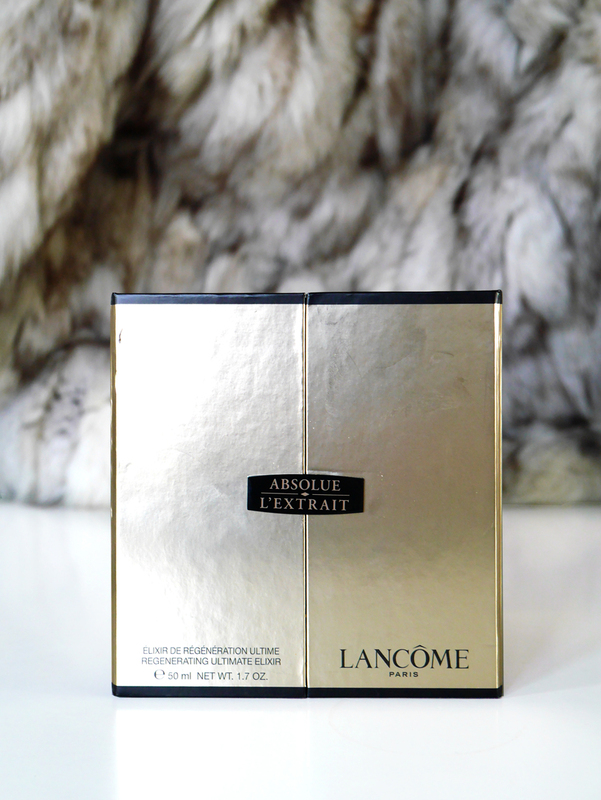 "Absolue L’Extrait, our regenerating ultimate elixir, contains up to 2 million Lancôme rose cells. These cells have been extracted through a state-of-the-art extraction process, and cultivated via an exclusive biotechnological growth process, Fermogenesis™. This allows us to preserve the unique properties of the Lancôme rose cells, fresh and intact in their unaltered state. Our masterpiece inspired by nature, perfected by science." Absolue L’Extrait is sold exclusively in a handful of select locations in the UK, with just 6 in London and even as little as one location per city up North and in Ireland. A rare and precious flower, indeed, and all the more special as a Christmas gift. Go on---you deserve it. 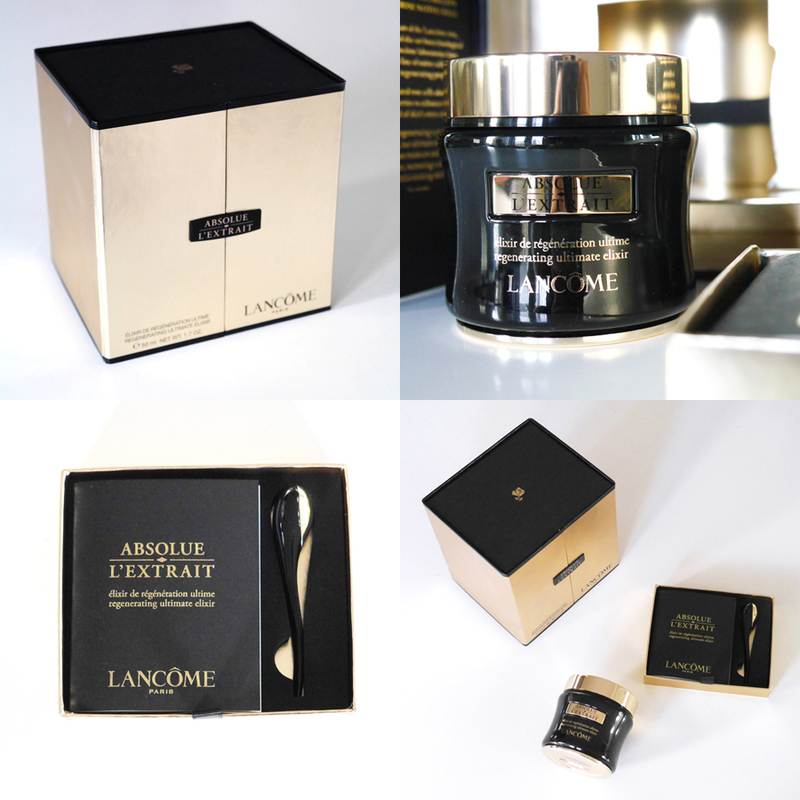 Befitting Lancôme's renown for luxury, Absolue L'Extrait Regenerating Ultimate Elixir comes in a beautiful gold and black box you open to reveal a jar of lush, magical skincare goodness. Never mind the promises of radiant, rejuvenated skin, opening the box itself is a special experience in it's own right. How perfectly festive! Imagine finding this under the Christmas tree with your name on it. Already followed on insta and before on twitter before i decided to axe mine this past week. pick me please, because i'm also broke and bored in london, my face is in neeeeed of delish lotion-y goodness and you're my girl blue!